It's time for a new challenge over at The Merry Christmas Challenge and as always it's an Anything Goes theme, with an optional theme of trees this week. I decided to use a one tree image and make that the focus of my card. This sketch, which was on Die Cuttin' Divas a few weeks ago, was the perfect layout to showcase the image. 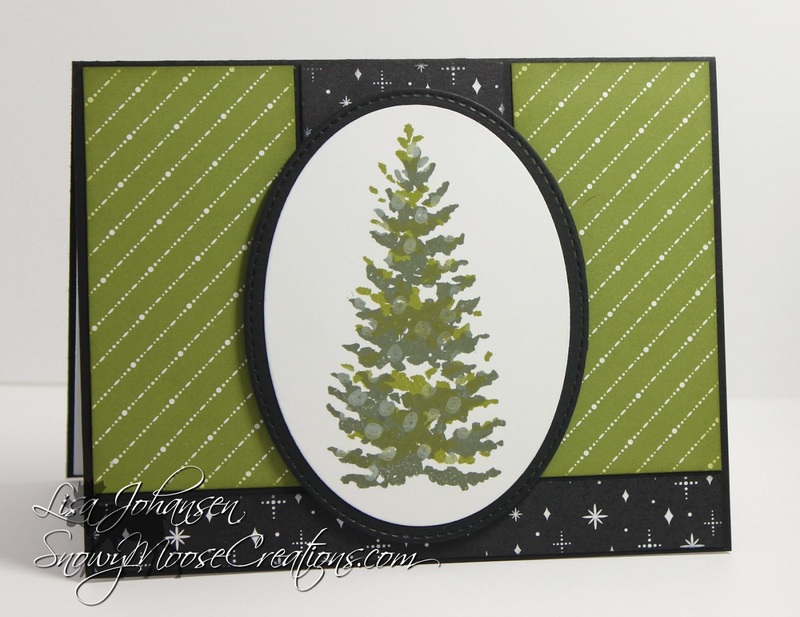 I did some layered stamping to create my tree image and then I cut it out with a SU oval die. The DSP is retired SU and I just adore it, I love the green and black together! I kept it all really simple because I didn't want the paper to overpower the tree image. 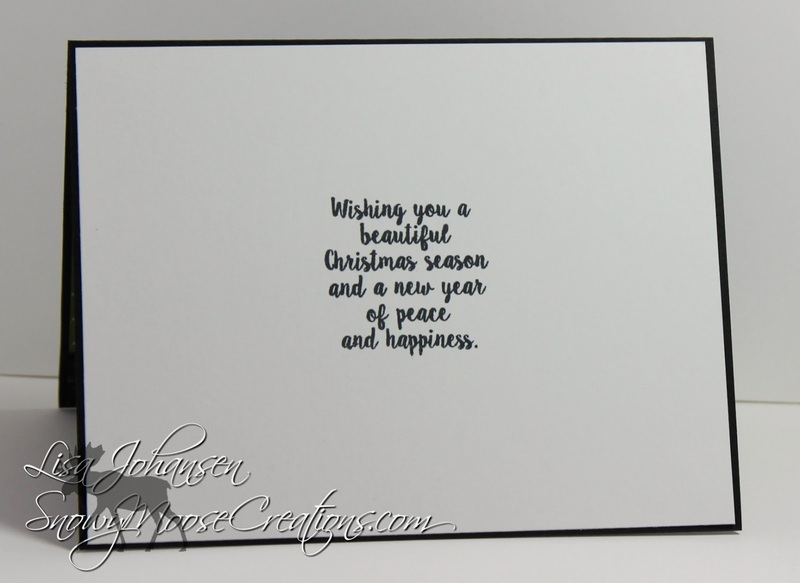 I also chose to keep a sentiment off the front and just stamp one inside. 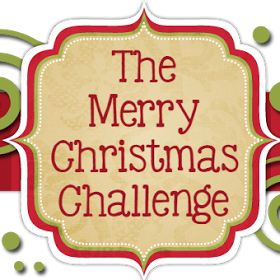 Make sure to head on over to The Merry Christmas Challenge blog to see what the rest of the DT created and then play along with us. 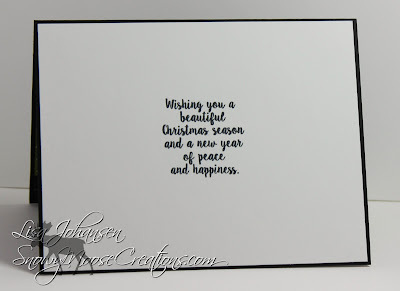 You'll love seeing your Christmas card stash grow throughout the year!